The South of the United States has many great places you can visit and move to. Depending on where you decide to go, you will meet a variety of people, as well as a variety of options for your new life. 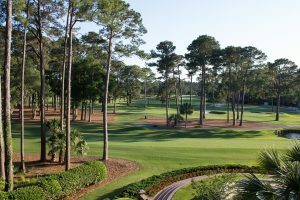 When it comes to beautiful beaches, resorts and golf courses, then South Carolina easily takes the top place. However, if you are in search of work, then this might just not be enough. You will need to think about other factors as well. Still, if you are moving to South Carolina for work, you can read the most important things you need to know about the state right here. And once you do, you can explore cross country movers South Carolina to help you out. South Carolina is famous for its golf courses. When moving state to state for work, one of the first things you will want to check is the cost of living. A great thing that you need to know is that the cost of living in South Carolina is almost 13 percent lower than the nation’s average. When you compare it to the most expensive states (such as New York, California, Alaska, and Hawaii), this number rises to amazing 30 percent! A big factor in this is the agriculture industry that is in full swing in the state. Fruits and other produce are state-made, and there is no need to import them. This lowers their price, which helps lower the cost of living. Adding the average household income of around $39,500 only makes your decision even more clear. By living in South Carolina, you will have low spendings and more than enough income to live a good life. If you know how to take care of your finances, then moving to South Carolina for work is not a bad idea at all! Education in South Carolina is top notch! If you are moving with a family to South Carolina, you can rest at ease. The state has some top of the class educational institutions on all three levels – elementary and high schools, as well as higher education. For example, there is the Buist Academy in Charleston and Sterling Elementary in Greenville, while in Mouth Pleasant you can enroll your elementary level children into Mount Pleasant Academy. When it comes to high schools, you have similar, but just as amazing options. North Charleston has Charleston School of the Arts, Greenville has Greenville Tech Charter High School and Mount Pleasant has Wando High School. Finally, there are many prestigious colleges in South Carolina. You can enroll into the College of Charleston or The University of South Carolina. There are also the Furman University and The Citadel. All of these are fairly renowned institutions for the higher education. You can also enroll into one of the 16 campuses of the Sout Carolina Technical College System. Another great thing about South Carolina is its climate. If you are a fan of warm weather, or if summer is your favorite season – then you are in luck! There are a couple of areas in South Carolina – the coastal, inland and mountainous. Summers are hot and humid here. The state has what is known as a humid subtropical climate. The temperature during summer is around 90 degrees Fahrenheit, while in the winter it falls down to around 60. However, this is only on the coast. Inland, the temperature during winter can even drop below 32 degrees! What this means is that, during winter, inland areas can get snow. The whole states get a lot of precipitation throughout the whole year, too. 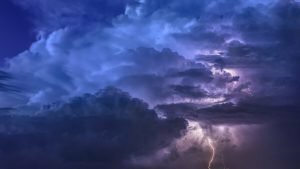 The biggest rainfalls are in the springtime, where you can expect to get severe storms – thunderstorms are a frequent occurrence here. And even though they are not common in most of the southern states, cyclones, hurricanes, and even tornadoes hit South Carolina regularly. 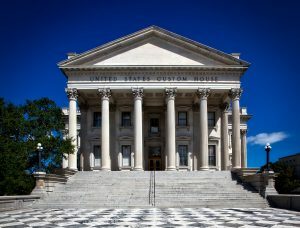 If you decide that moving to South Carolina for work is something you want to do, then there are some things you need to consider before the move. First, you need to think about the traffic. Around Columbia and Charleston, there can be quite a few traffic jams during the day. These are some of the most populated cities in the state, so that’s pretty normal. However, when you are moving, you do not want to waste time stuck in traffic – you movers will charge by the hour. This is why the less time you spend traveling, the more money you will save. Other places where traffic can be a nightmare are the coastal roads and resort towns. South Carolina is a popular touristic destination, so if you are moving between May and September, be aware of this fact as well. It’s important to plan your move well. If you need to use the roads that will be filled with traffic, figure out the time of the day when passing here will be the fastest. Another option is to pick the roads that are not used regularly. For this issue, it is the best to talk with your cross country moving company. They will be able to figure out the route that benefits both you and their trucks. As we have already discussed, the weather in South Carolina can vary from place to place. However, you should plan for it when moving here. First, if it is really hot and humid, it will be harder for both you and the movers to load your things onto the truck, and then sit in traffic. This is why planning the time of the day is also very important. Because of all the rain that happens during springtime, you need to plan for it too. Sometimes it can make driving difficult, so be prepared. Rain can also damage your items when unloading them from the truck. This is why you need to bring waterproof tarps for the things that you will need to leave outside while moving in. To conclude, moving to South Carolina for work is a good idea. Lost cost of living and good family incomes make the state one of the best US locations for work. This is why you should call your moving company and start arranging your move today!